I have written a white paper for the Microsoft Oslo team that is available on MSDN here. The paper is titled: “Using Oslo to Speed Up Database Development” and shows how you can use the new M language to model databases, browse that model in Quadrant, and tap into the power of the Oslo Repository. 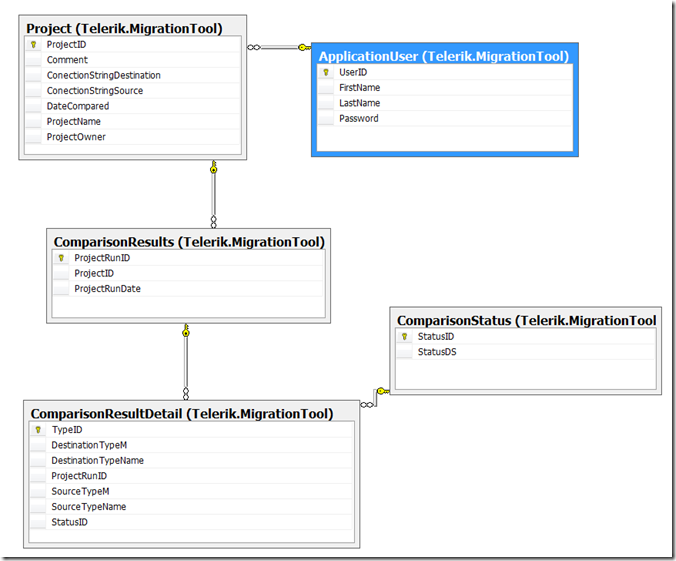 The paper shows how the model you make is mapped to TSQL and to SQL Server objects, including Tables and Views. 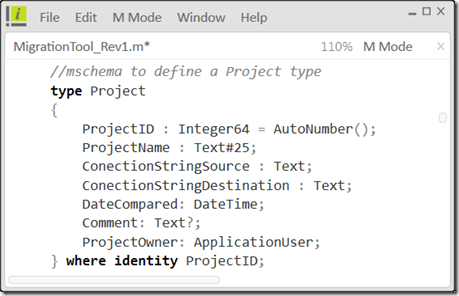 It is pretty cool to see the following M type and its M values and how they will map to a TSQL script to create a People table and INSERT INTO statements for the Steve and Mike rows. 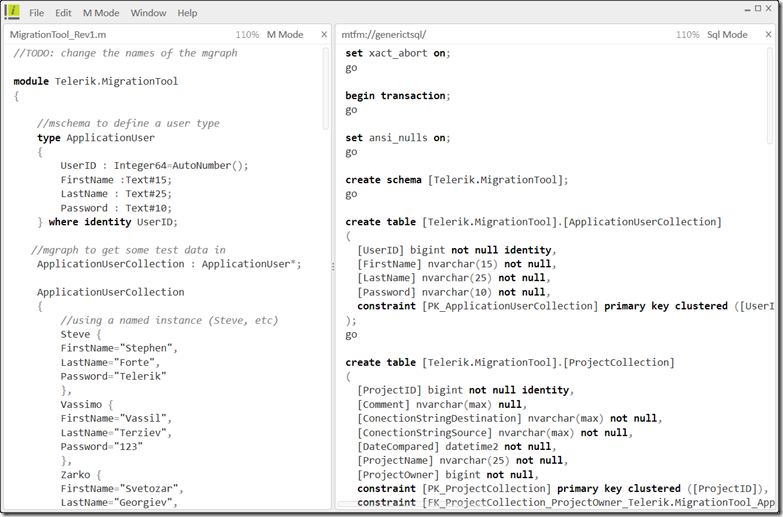 Developers will like to model in M since it will abstract them from the ins and outs of the database. In addition the paper shows how to use the repository and how modeled types will benefit from using the repository. In addition I discuss a little abut the DSL capabilities of Oslo using M Languages. What is cool is that I also talk about Telerik’s LINQ to M at the end, and how to use it with the DSL and M languages with Visual Studio and C#. 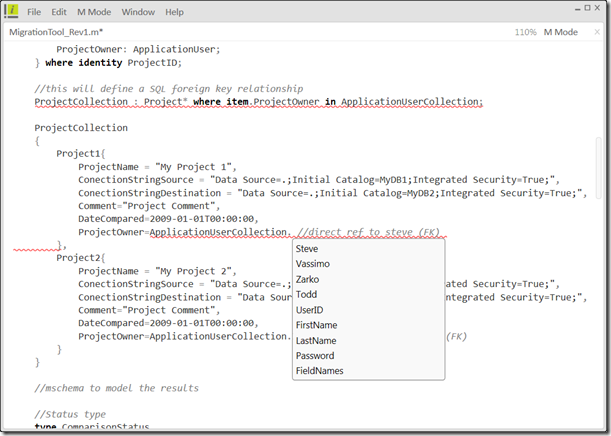 If case you did not know, Telerik released LINQ to M a few weeks ago, enabling you to use a LINQ style interface with M values of data. Mehfuz and I have written blog posts where you can see how to use the basics. 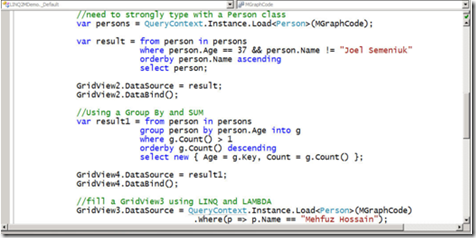 In the first version of LINQ to M, you get a runtime error saying that LINQ to M cannot parse “People”. 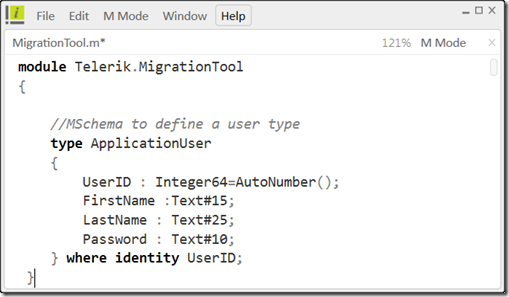 The most current refresh of LINQ to M fixes this problem and you can run your LINQ queries against M values that have a named instance. You can get the refresh here. Enjoy!